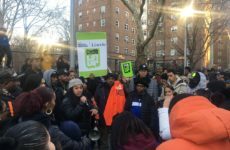 While Mayor de Blasio proudly touts record-low violent crime statistics across the city, many Mott Haven residents say they’re seeing a darker picture. 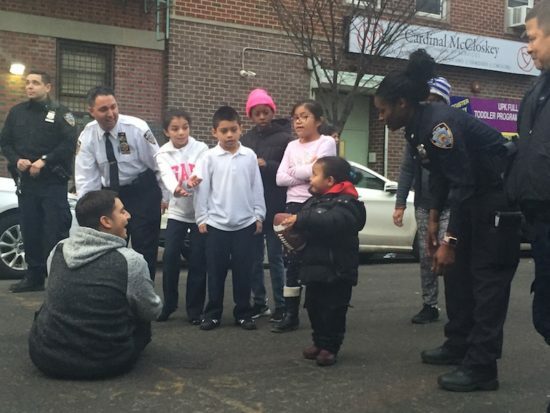 In contrast, it is as if the 40th Precinct, which patrols Mott Haven, Melrose and Port Morris, were somewhere else. “2016 was a tough year for the 4-0. 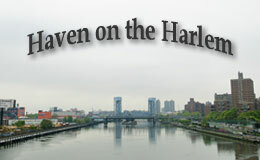 We had the biggest crime increase in the city,” said the precinct’s commanding officer, Deputy Inspector Brian Hennessy. Homicides in the 4-0 jumped from nine in 2015 to 14 last year. Some of the victims were killed in gang violence, others in domestic and drug-related disputes, and a few were innocent bystanders. In contrast, murders in the city dropped from 360 in 2015 to 352 last year, according to the NYPD. Felony assaults swelled from 578 in 2015 to 746 last year. 2015 and 2016 both ended with 38 rapes. Non-violent crimes were also up. Grand larceny increased from 652 to 746. Burglaries rose from 239 to 266. Robberies went up from 515 to 531. 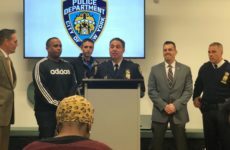 Gabriel De Jesus, president of the 40th Precinct Community Council, which convenes monthly public meetings between residents and police officials at Lincoln Hospital, said that gangs have targeted elderly residents from the neighborhood’s public housing complexes for initiations of gang members. “I tell the seniors if you have to go out at night, go with someone,” De Jesus said. Car theft was the only major crime category to follow the city’s downward crime trend, dropping to 91 last year from 99 in 2015. Despite the rising violence, arrests were down, shrinking from 5,858 in 2015 to just 3,322 last year. Hennessy attributed that drop to the fact that officers are now less likely to arrest suspects for minor crimes than they used to be, Hennessy said. Some area residents are concerned with rising crime, but say it’s nothing like it once was. Herbert Bennett, 60, was greeted at his Courtlandt Ave. apartment one evening last summer by red and blue lights, yellow police tape and neighbors nervously asking questions after a shooting on their block that left a man dead. A month later, Bennett came home to a similar scene. Another shooting, another man dead. But even living on what police have informally coined “The Courtlandt Avenue Strip,” Bennett, who has lived in the area since 1967, said he feels safer today than ever. There were four murders and 10 shootings on Courtlandt Ave. last year. Others agreed the rising crime statistics don’t come close to the dark reality of more violent times. “I see hardly no crime,” Kelly Kenneth, 51, said while walking home on the Grand Concourse on a January evening. He remembers when he used to duck his head as he walked through the streets, to avoid the bottles being thrown in past decades. In 1990, NYPD reported 72 murders. A recent New York Times analysis found that the 4-0 has the fewest detectives per violent crime of the city’s 77 precincts. “A lot of individuals in the area have been asking for more police,” De Jesus said. Mott Haven resident Daniel Brown, 44, said that bringing more officers to patrol the area isn’t the main issue. When citizens who have witnessed a violent crime speak out, it often leads to retaliation, he said. Half of the 14 murders committed last year remain unsolved. The rise in shootings has prompted the precinct to establish a “shooter suppression team” to patrol areas where shots are frequently heard. To try to help mend community ties, police say they will hold block parties and have officers go door-to-door to introduce themselves to residents. Recently, officers from the 4-0 closed off Courtlandt Ave. between 151st and 152nd Streets for a game of football with the locals. Elijah McCall, 12, watched the game from the sidelines. McCall said he was scared to go home to the Melrose Houses because the presence of gangs and regularity of shootings is so worrying. He hasn’t heard many positive things about the police either, he said.